THE call has gone out once again to the community to lace up and show their support for the annual Alzheimer’s Society Memory Walk. 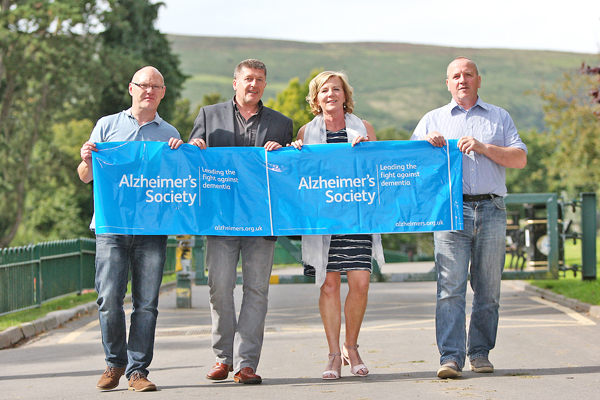 Taking place on September 17 in the Falls Park, the walk, now in its fourth year continues to gather pace and walkers to raise awareness and support the work of the Alzheimer’s Society. “The walks have been going really well, we have people ringing asking when the next one is going to be. We have a memory tree on the tree, it’s lovely to see. Lending his support, West Belfast MP Paul Maskey said the issue of Alzheimer’s awareness is pivotal to highlight. “I know a lot of people who have suffered, including family members as well from Alzheimer’s. The walk gets bigger and better every year and it’s important to highlight the difficulties families face,” he said. The Memory Walk will take place on Saturday September 17 at 1pm at the Falls Park. The walk is open to everyone. Sponsor forms are available from the Glen Road Post Office.